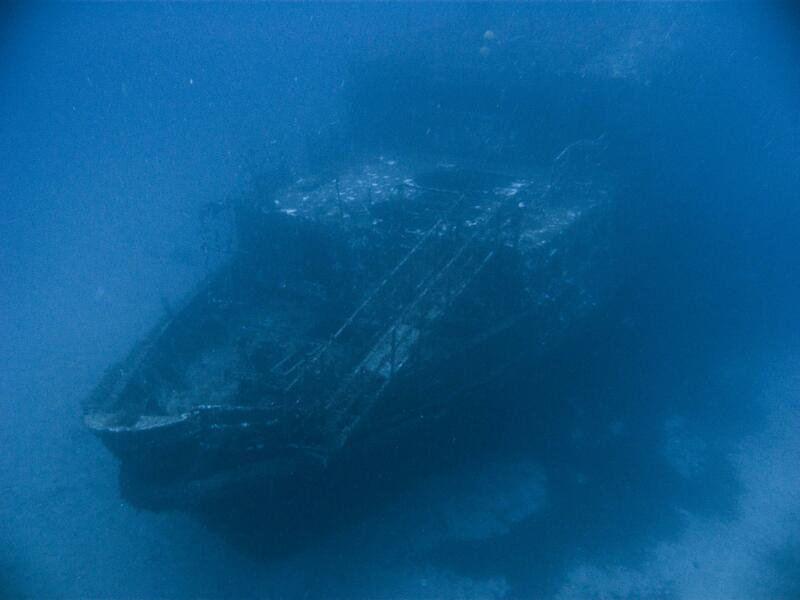 MV Karwela is one of the three diving wrecks off shore Xatt l-Ahmar in south-eastern coast of Gozo. Karwela was a former Captain Morgan Cruises passenger ferry around the Grand Harbour. She was scuttled in August 2006 together with MV Cominoland as an artificial reef for scuba divers. The third wreck MV Xlendi was scuttled already in 1999. Karwela wreck is about 50 m long and is sitting perfectly upright on a sandy bottom with a maximum depth around 40 m. Her bow lies at 39 m deep, whereas her stern rests at 41 m. The top deck with the captains cabin starts at depth of 30 m. The wreck is safe to penetrate because of the various openings made before scuttling, and there is plenty to explore on its three decks. 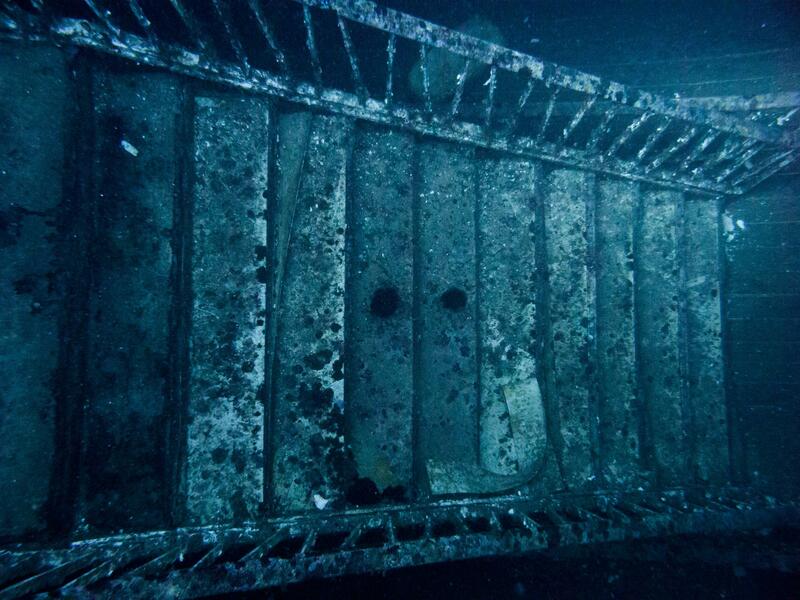 Large holes were cut all along the sides on the first two decks, and there is a photogenic staircase in the middle of the wreck leading to lower deck, which is lit by portholes. There is a small amount of silt and sand inside. Karwela's bow is approximately 80 m south from the dive’s entry point and about 40 m from the drop-off. She is the middle one of the three wrecks in Xatt l-Ahmar, between Cominoland which lies about 60 m east, and Xlendi about 60 m west of Karwela. All the wrecks are usually dived from the shore, but can be done by boat as well. Karwela is probably the most dived wreck around Gozo, as she is more interesting than upturned Xlendi, and closer to shore and larger than Cominoland. Shortly after sinking of Karwela, a Volkswagen Beetle car was also sunk onto her starboard deck by the stern by some local divers, who swam it out on floating barrels. Unfortunately nothing is left from this car wreck. There is another car wreck near Xlendi in Xatt l-Ahmar though. MV Karwela was built in West Germany by Jos L. Meyer in 1957. The passenger ferry with steel hull had gross weight of 497 tons and was 50 m long with a beam of 8 m and 23 m height. Her original name was M/S Frisia II, and she was renamed to MV Nordpaloma in 1977. The ferry which was designed to carry up to 863 passengers and no cars came to Malta in 1986 and was renamed to MV Karwela. In 1992 she was purchased by Captain Morgan Cruises and sailed as a tourist ferry until decommissioned in 2002. Gozo Tourism Association scuttled MV Karwela on 12th August 2006 (watch video) together with MV Cominoland. Before scuttling the ferry was made environmentally safe and also safe for divers to penetrate, and during the scuttle buoyancy tanks were used to make sure the wreck lands upright and not upside down like MV Xlendi nearby. Both vessels were thoroughly cleaned by Cassar Ship Repair, which removed 18 tons of oil and fuel from Karwela alone. As an experiment Karwela was left with paint on whereas Cominoland had it completely stripped off to see what technique was better to encourage marine life on the wrecks. ★★★★☆ My favorite of the three wrecks!